Are you Daydreaming of the perfect winter outfit like we are Babes?! Well, get ready to be blown away! 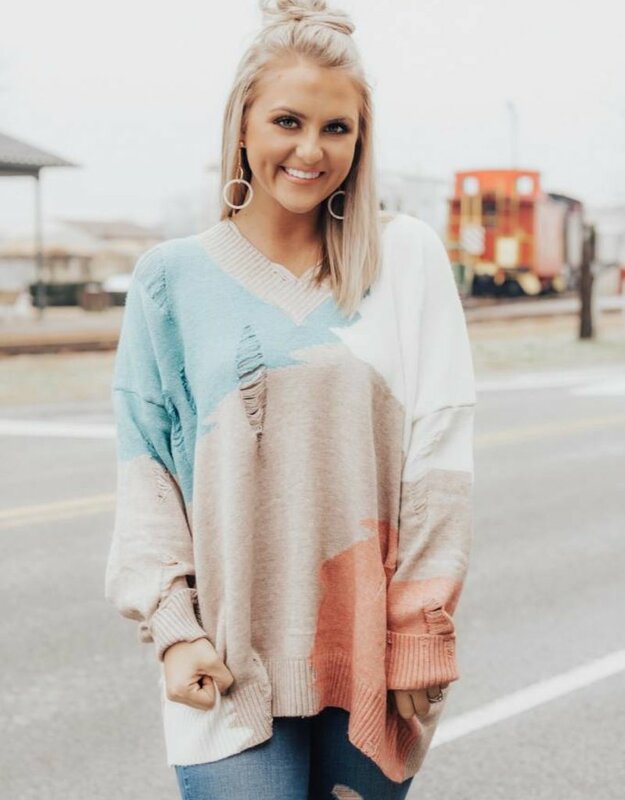 This color block distressed sweater is so sassy and fun for this season. Throw it on with your favorite booties and a fabulous hat for some serious hippie-chic style. No need to Daydream any longer!